This level have normal difficulty and you need to use few steps to easily complete this level within 35 moves. For this level first you should try to play from bottom and break blockers near to ingredient. 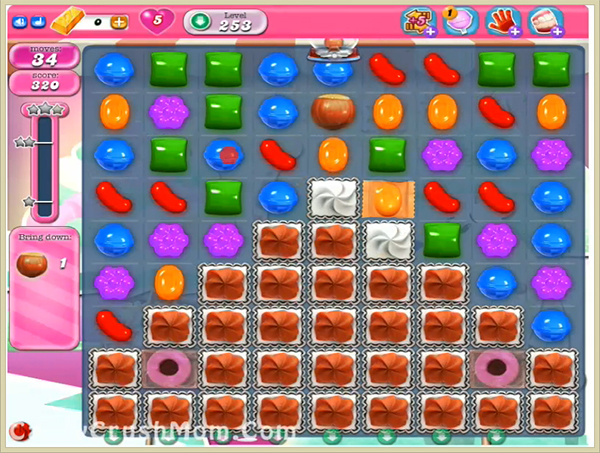 Make special candy where you get specially colorbomb and combine it with other striped candy to break more blockers. Then try to play near to ingredients or use any special combo move to take ingredient to the bottom of the board. We completed this level with 71120 score using same strategy plus completed this level within 30 moves and got three star score at the end of the level.